The final details of Friday's eleventh-hour agreement on 2011 federal spending are still emerging. 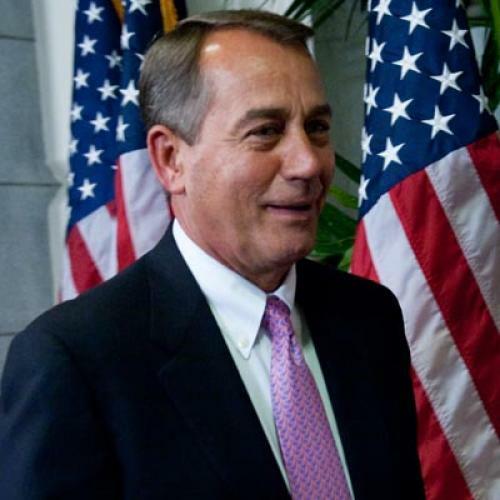 But Speaker Boehner is bragging about one concession he won. President Obama's original budget request would have given the Treasury Department money to hire additional agents for the Internal Revenue Service. The Republicans killed that provision. "The Obama administration has sought increased federal funding for the Internal Revenue Service (IRS)--money that could be used to hire additional agents to enforce the administration’s agenda on a variety of issues," the Speaker's office announced. "This increased funding is denied in the agreement." Among budget cuts Republicans are proposing for the current fiscal year is $600 million in IRS spending between now and September. IRS Commissioner Douglas Shulman told a House subcommittee last week that such a budget cut over just six months likely would reduce federal revenues by $4 billion. The IRS “would need to make substantial cuts to its enforcement programs,” he said. In other words, cut spending by $600 million, lose $4 billion in revenue and add $3.4 billion to the deficit. That’s absurd arithmetic and unfair to the large majority of taxpayers who pay what they should. Shulman said the IRS collected $2.345 trillion in fiscal 2010, ended last Sept. 30, some 93 percent of federal receipts. The biggest beneficiaries of reduced enforcement would be those whose income isn’t reported to the Internal Revenue Service by someone else--such as many small businesses or high-income taxpayers who can take advantage of complicated tax avoidance schemes. Rudy Penner, a former Congressional Budget Office director now at the Urban Institute, noted that Congress years ago prohibited CBO from crediting any increase in the IRS budget with generating more revenue, but added he doesn’t doubt that more money spent intelligently on compliance would more than pay for itself. It's not clear to me whether the final budget agreement is the precise cut Berry described in the article; as such, the budgetary impact may be lower. But the principle, surely, is the same. Update: Sam Stein has much more over at Huffington Post.